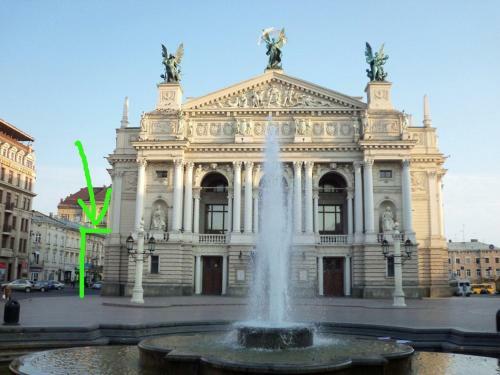 Apartment Biel Opera Center is ideally located on Prospect Svobody 49, Ap.8 in Prospekt Svobody district of Lviv only in 611 m from the centre. The apartment is within hailing distance tщ The Armenian Cathedral, The Church of the Jesuit Order, The Palace of Armenian Archbishops and only in 6.1 km from the Lviv International Airport. Travellers can use a huge range of amenities: internet services. It is important to note only cash is accepted for payment. For guests' cozy accommodation is offered only one room type - apartment. Every guest can use facilities such as air conditioning, hairdryer, refrigerator, ironing facilities, microwave, flat-screen tv, electric kettle. 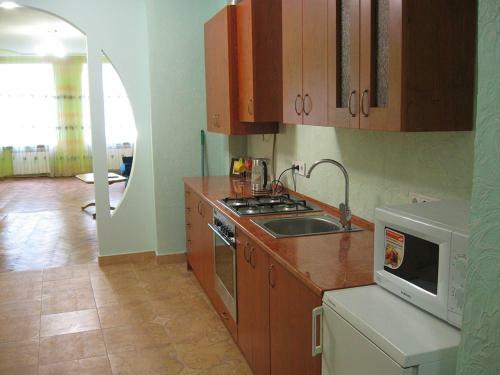 This apartment features a microwave, electric kettle and air conditioning. The location and the owner perfect!